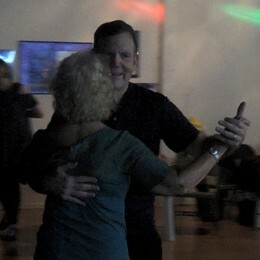 Part of tango's fascination is surely its reputation for sensuality and passion  qualities which emerged early on, first as a creation of marginalized immigrants and laborers in the rough dance halls and clubs of the Río de la Plata in the late 19th Century, and later as an exotic import to the salons of Europe in the early 20th Century. "Tango is a dance with four legs, two heads, and one heart ..."
In the land of its origin, tango is also widely seen as an evocative synthesis of feeling, philosophy and culture that comes very close to expressing the collective soul and imagination of its people. 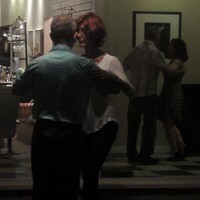 Non-Argentines who embrace the possibility of tango quickly discover a river that not only runs deep and strong with tradition, but one that is still defining its banks  and still adding new branches and fresh tributaries  all as it contributes a rich current to the wider sea where many forms of dance share and blend their waters. 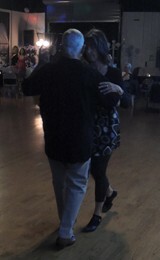 There are no "steps" or patterns to memorize or execute  dancing tango is more like having a conversation or taking a journey ... the outcome is always in doubt, dancers work without a script or net, and no one ever dances the same tango twice. Dancers interact with the music, but are not "married" to the music  dancers are free to use and respond to any aspect, sound or idea they hear  including the music's main pulse and softer interbeats; its rhythm and melody; its various dynamics and moods, shifts and silences  and to play their steps and movements with, between, around, or against any of these ... changing what they do at any time, exploring and creating afresh from one moment the next. 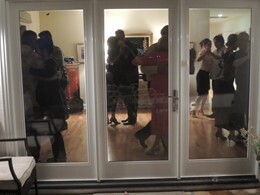 The partners do not "do the same thing"  they don't (necessarily) "mirror" or echo each other, or any other dancer or couple in the room ... instead the individual partners in tango create what are essentially two different but nevertheless highly integrated and coordinated dances, then offer these to each other in order to blend and create a third, more elusive entity: Our dance. And the partners somehow manage to do all of this together, at the same time, in the same moment  something which demands a kind of trust, openness, awareness, curiosity and courage that goes well beyond the basics of good technique. Add all this up, and you have the basis for a very provocative and challenging mode of expression and discovery  a rich "kinetic language" with pronunciation, vocabulary, syntax, grammar  which blossoms into an art form as the dancers begin to access, share and explore ever deeper layers of feeling and imagination through ever greater levels of skill, experience, sensitivity and insight. To hear classic Tango music, and for more insight into its history and culture, try this excellent three-part radio documentary, "This Is the Tango." Originally from the CBC, it's now available only on this archive site ... where it can be better to download the zip file of the whole program, and then play the individual .mp3 files locally from iTunes. 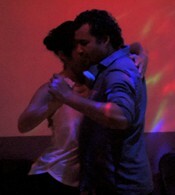 Tango video is all over the web these days, with thousands of examples available on youtube. 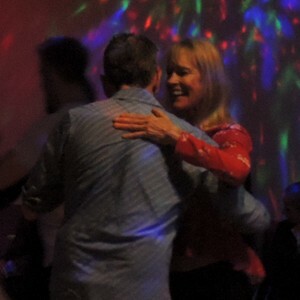 Among our favorites are the didactic class demos offered by Homer + Cristina Ladas (and other dancers in the Bay Area) via Homer + Cristina's Organic Tango School. 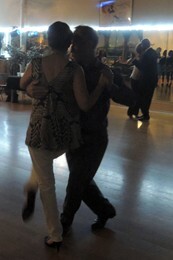 Also worth checking out, the many demo + review videos available from Oscar Casas + Ana Miguel, two dancers who teach regularly at El Beso in Buenos Aires and travel widely. 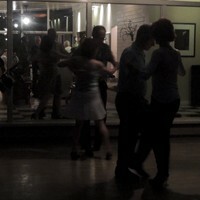 Also online, you can find "La Confiteria Ideal: The Tango Salon," a 2005 documentary from the BBC. Centered around a famous tango venue in Buenos Aires, it features interviews with several well known dancers, and helps sketch the bridge between Tango's fabled past and evolving present. And you can catch a little bit of the flavor, passion and devotion that Tango often inspires in the amusing TANGHI ARGENTINI from Belgium, nominated for an Academy Award in 2008 as "Best Live Action Short." 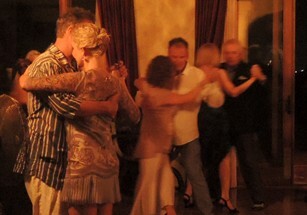 Closer to home, one of the best places to explore Tango is Milonga Cambiante in Santa Barbara on 3rd Fridays. 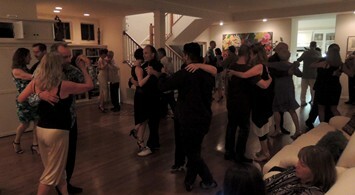 Since Milonga Cambiante is hosted in private residences around town, it changes location each month, so be sure to check online for the latest schedule and details. 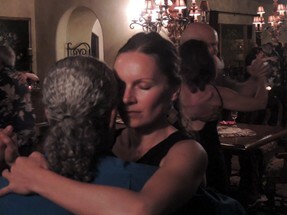 Santa Barbara dancers also host a Monday Práctica and the monthly Milonga Principal, which often draws tangueros from throughout the wider region. 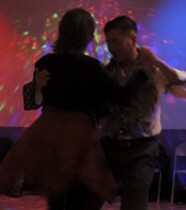 More recently, dancers in Ventura have launched Magnética, a new monthly milonga that features modern and alternative music for tango dancers, drawn from a wide range of genres  including contemporary tango, jazz, African beats, rock, electronica and more. Find out more about these and other local happenings on Tango Mango. 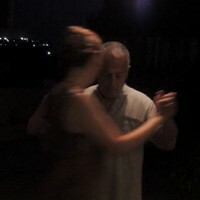 ... and at Milonga Principal, on 1st Saturdays in Santa Barbara. 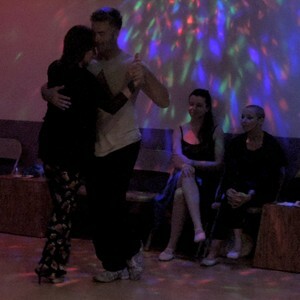 Ministry of Tango, an initiative master-minded by South Coast dancer, DJ and organizer Emmet O'Conlon. 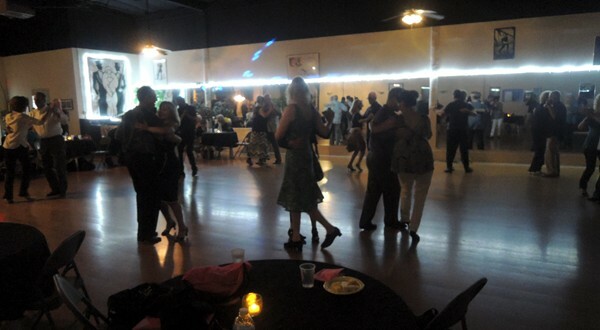 Both of these websites offer Online Calendars which cover most of the Tango activity in and around greater Los Angeles and the region.